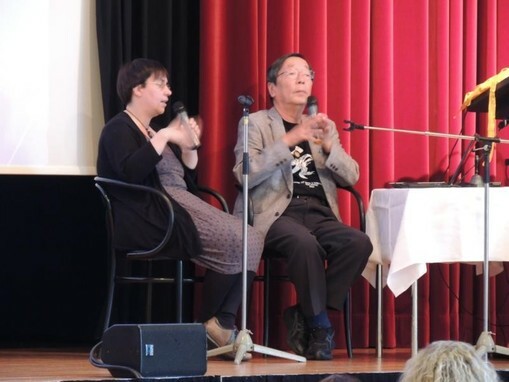 On the 29th and 30th of September 2012 the second Congress of the Council of World Elders took place at Bad Homburg near Frankfurt in Germany. 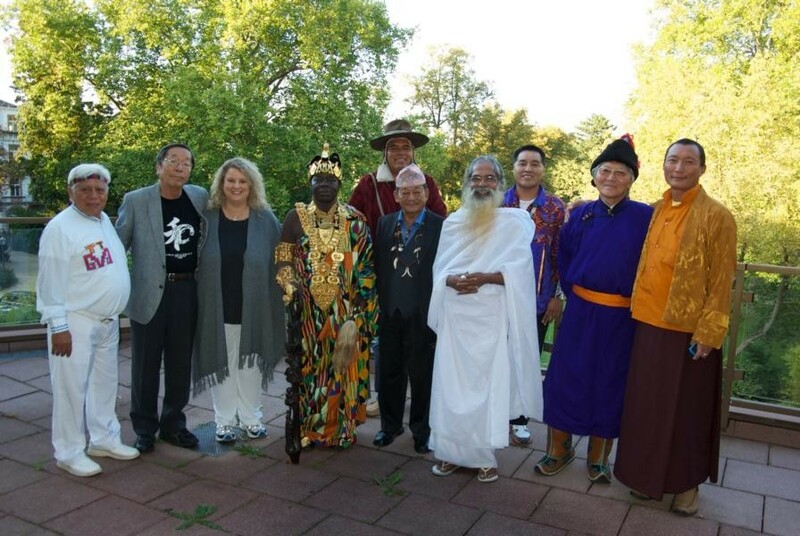 The Members of the meeting of world elders are besides Karin Tag, who is the founder of the Council of World Elders and first president, Hunbatz Men, Maya priest of Chichén Itzá, Mexico, Galsan Tschinag, patriarch of the Tuwa nomads and shaman from Mongolia, Dr. Masaru Emoto, water researcher from Japan, Mohan Rai, shaman from Nepal, Swami Isa, yogi from India and Coco Vizcarra, Inca shaman from Peru. On this second Congress also Lama Tshewang Dorje from Bhutan has been introduced as a new member of the Council of World Elders. The topic of the second Congress was WATER. The lectures have been given in German or English and simultaneously translated into English resp. German by professional interpreters. This extraordinarily touching event, which has been organized by Karin Tag and dedicated to the element of WATER, deeply affected the hearts of the attendants of the Congress. Karin Tag’s concern is to preserve the knowledge and messages of the indigenous elders through the Council of World Elders by making their wisdom accessible to public. She gave emphasis on the importance of the elders by giving them a chance to speak to the world for the conservation of their knowledge. If we will not focus on the knowledge of the elders now, their wisdom will get lost, she expressed. All nations of this world need this platform to speak. 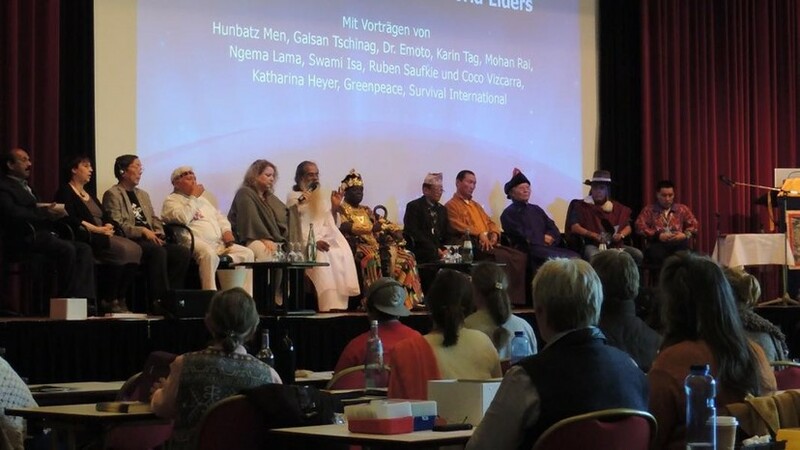 The Elders often have the answers to resolve environmental problems and social difficulties on earth, said Karin Tag. We may find our way back to the heart of Mother Earth in remembering that Mother Earth and Father Sky are alive and that we are all One. The Congress started with the introduction of the Members of the Council of World Elders, with prayers and mantras for the protection and blessing of Mother Earth, followed by the lectures of the Members and guest speakers. The first lecturer on stage of the “Kurhaus” Bad Homburg was Coco Vizcarra from Peru. 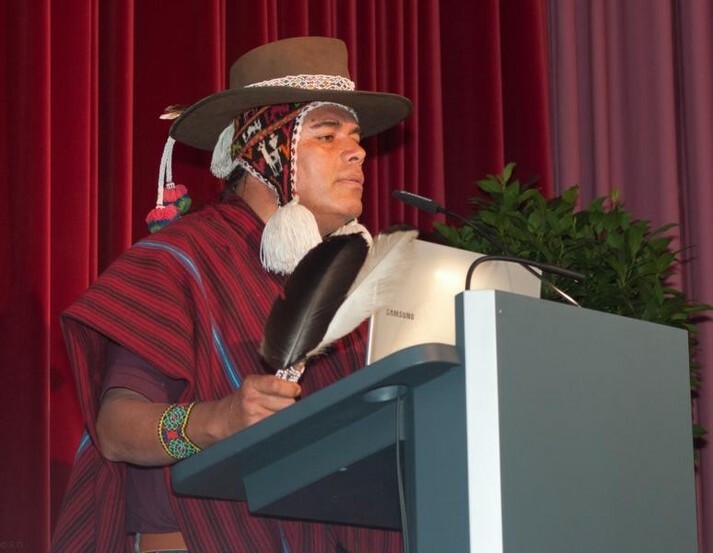 Coco Vizcarra is an Inca shaman with Quechua roots. He was born in the Amazonian district and his whole life is influenced by his Native American origin. He understands himself as messenger of his ancestors the Inca people. 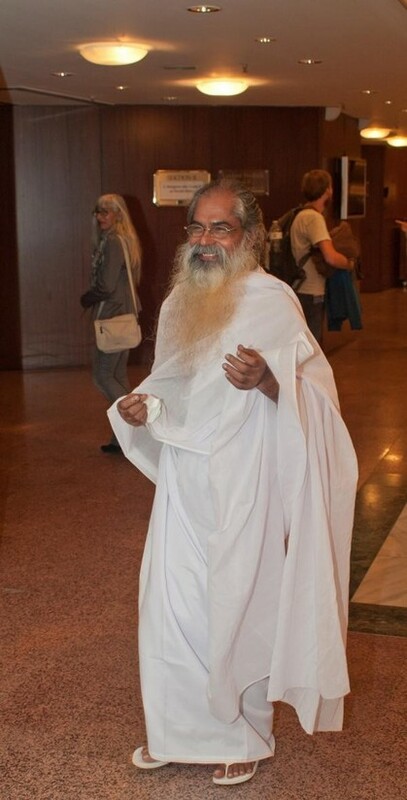 He tried to point out to the audience, that mankind has not only lost its connection with water, but also its connection with Mother Earth in general. We forgot that everything is alive. The earth, the trees, the rivers, everything is alive. As a matter of fact we consume water every day without any reflection, like we do many other things in our daily life. Water is a living being like “Pachamama” (Mother Earth) and “Father Moon”, it is a sacred element and it is part of the big love surrounding us all. Humanity should express its love and gratitude to the Sacred Water and it is exactly this, what is missing in our modern society. Love is the only power to heal the world, it is the only power to save us and the Earth. Love is a force, which is able to close the ozone hole and to clean contaminated waters. 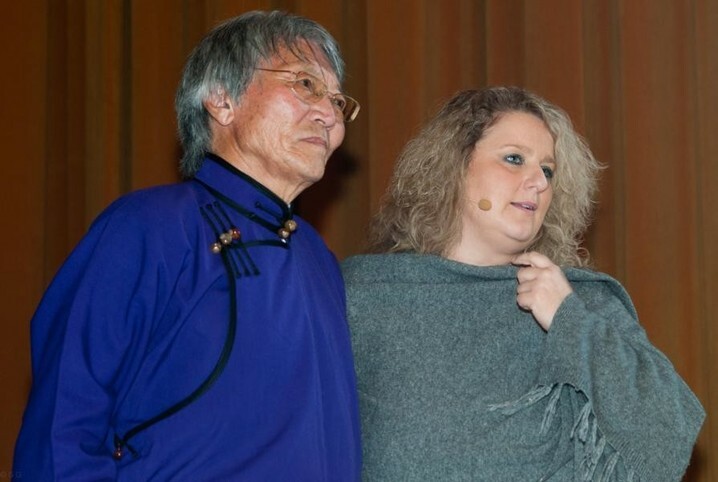 The next speaker was Galsan Tschinag, a Member of the Council, famous author and shaman from Mongolia. Galsan Tschinag is a patriarch of the Tuwa nomads and he is deeply committed to his reforestation program in his mother country. His intention is the planting of one million trees to give back water and life to his nation, which is deeply affected by the climate changes and predatory deforestation. The first 200 000 trees have already been planted. His message at the Congress was to save and keep clean all waters as our highest precept. Water is the blood of the Earth, the rivers and streams are her veins, which flow through her planetary body to keep her alive. For this reason it is in our responsibility to neither contaminate the waters nor upset their balance. Even noise and bad behavior of human beings have an influence on water. Galsan Tschinag also shared with the audience his concern over the exploitation of the Earth. The Earth is being contaminated and sold off and for that reason also his people is suffering. Galsan Tschinag pointed out that he doubts on future existence of life and mankind on earth. Too many wars have been waged and tolerated and we urgently need peace now, he said. If we keep together and move into one direction, we may succeed. 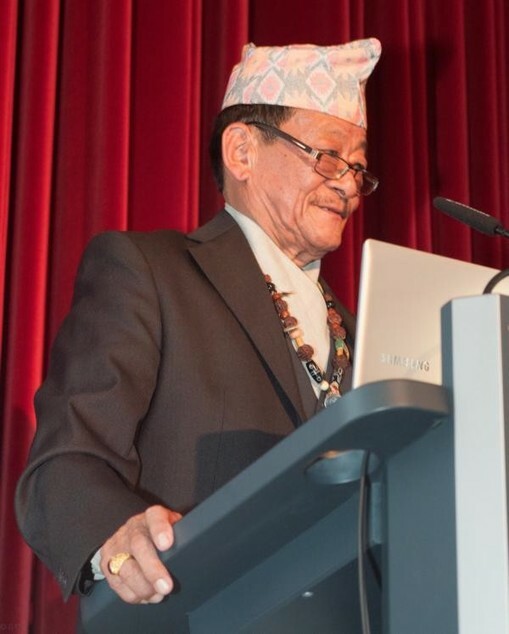 The next lecture was given by Mohan Rai, Member of the Council of World Elders and shaman from Nepal. He talked about the importance of creating a planetary balance of give-and-take. This balance of give-and-take is being disturbed and we have lost our respect towards nature, water and the Earth. Mohan Rai asked for the transmission of love and gratitude to Mother Earth. Many disasters happen because of our disrespect for the Earth. If we started to pray again to Mother Earth and our ancestral spirits by glorifying the Earth, we would be able to bring the element of Water into balance. 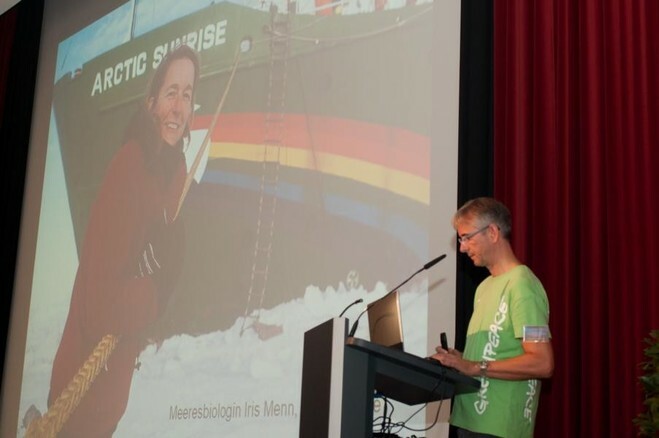 Mohan Rai was followed by Axel Wenzel, guest lecturer of the Greenpeace-Group Frankfurt. He lectured on a protection project in the Arctic. The Arctic wilderness is one of the last remaining intact and remarkable eco systems of the world. Covered by ice sheets over thousands of years, the Arctic Ocean has been a natural marine reserve for crabs, fish, whales, seals and walruses. This natural paradise is in danger now, because of the melting of the perpetual ice and a massive raw material yield is now also threatening the whole area, as rich oil and gas deposits are being supposed under the ice sheets. We cannot foresee the ecological consequences, especially the hazard to the environment caused by the future oil production projects. This topic was continued by another guest lecturer from Switzerland, Katharina Heyer. 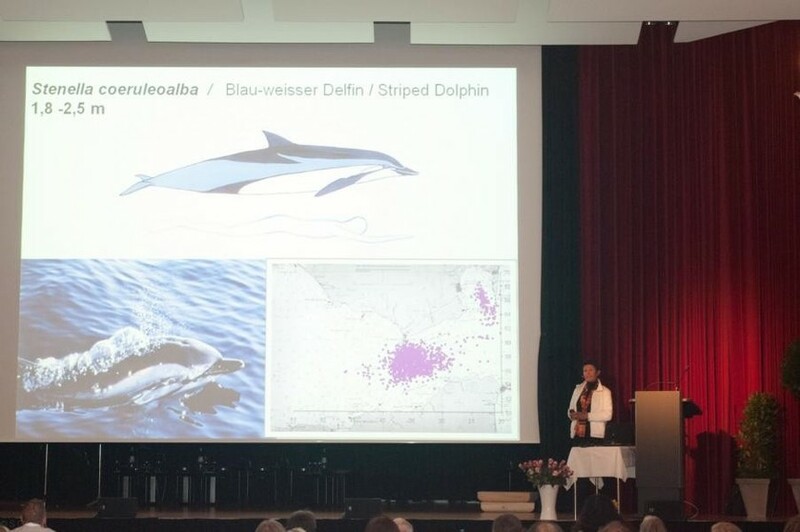 She talked about her protection project for whales and dolphins at the Straits of Gibraltar. Besides many other interesting facts she introduced the different species of dolphins and whales through a documentary film. The evening event was opened up by the Hopi Natives with a Water Ceremony. Ruben and Jordan Saufkie, representing the Younger Generation at the Council, performed the so-called Eagle Dance in the Hopi tradition by blessing the site and the attendants of the event with the water of a sacred spring in Arizona, which they had taken to Bad Homburg. Jordan Saufkie, the son of Ruben Saufkie, performed this ritual dance on stage in his traditional plumage. Afterwards Karin Tag performed a so-called “Voice-Healing” by touching the hearts of the participants of the Congress with her chant. Her deeply affecting voice, connected to the spherical sounds of her crystal sound bowl, reached our hearts in harmony and warmth to guide the audience on the path of inner silence. 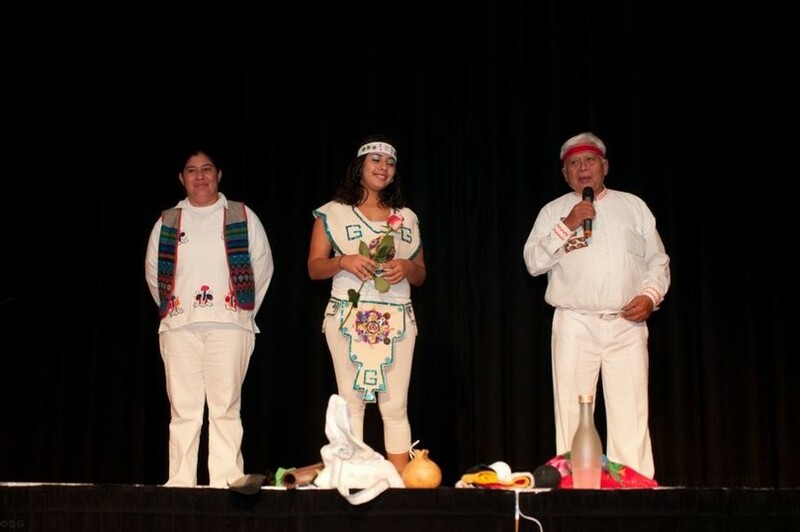 The final evening program was performed by the daughter and the wife of Hunbatz Men, the Maya priest of Mexico, with a traditional Maya dance. Hunbatz Men gave emphasis on the important role of women in our modern times. He said, that women are the fundamental spiritual and leading power, being able to guide the world into the New Consciousness of a New Age. 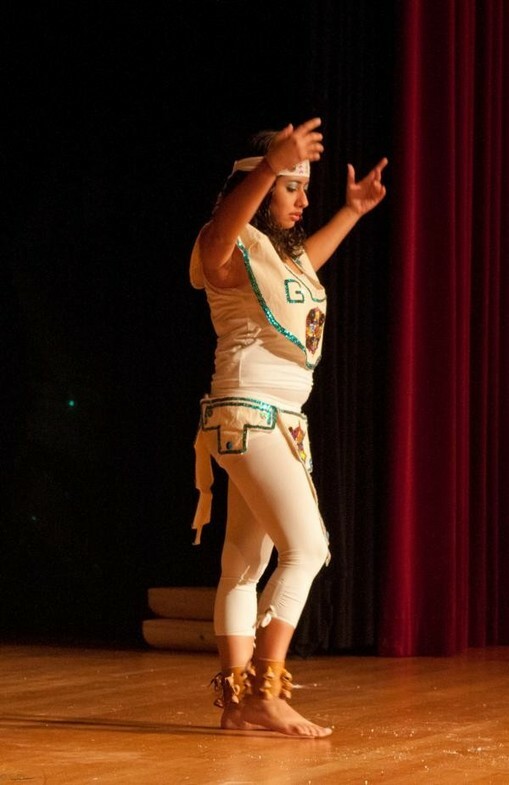 Yanil Mena Rodríguez, the daughter of Hunbatz Men, performed the Maya Dance in a beautiful Maya dress for the first time on stage. She did her performance with juvenile charm, grace and naturalness. The second congressional day started with a lecture of Swami Isa, Member of the Council of World Elders and Yogi from India. Swami Isa lectured on sound vibrations and mantras, as well on finding peace not in the outer world, but inside. Therefore inner consciousness is important. The second lecture of the day was given by Lama Tshewang Dorje, as a new Member of the Council of World Elders. 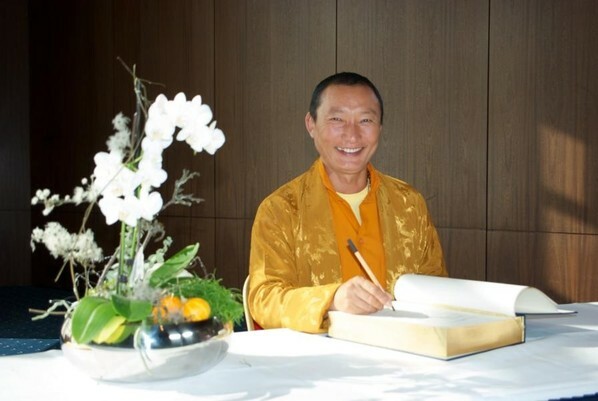 The main message of the Lama was dedicated to world peace and the glorifying of the five elements. Additionally he talked about his project to build a stupa for world peace. With the construction of this stupa for peace he likes to fulfil the prophecy of a Buddhist Master Dzogchen Polokhen Rinpoche, who pointed out the importance of the construction of such a temple in Bhutan for the stabilization of peace on earth. He was followed by a lecture of Hunbatz Men, who is also a Member of the Council and Maya priest in the 12th generation. Hunbatz Men comes from Chichén Itzá on the peninsula of Yucatán, Mexico. He was chosen at the age of one to spread the ancient Maya wisdom. He also gave emphasis on the publication and spreading of the knowledge of the Elders and also the wisdom of the Maya people. Many reports on the Mayan culture and prophecies are not true or have been misinterpreted. Above all on the 21st of December 2012 our world will not end in a disaster. The Mayan Elders say, there will not be a cataclysm, but instead of this the essence of Water will come back. A new cycle of 5125 years will begin to bring a change in this world. Karin Tag, the founder of the Council of World Elders and first president, continued with a lecture on water, vibrations and the Chladni figures of sound. She explained, the sun will change its frequency and for that reason it is very important, that also human beings are going to radiate harmonic vibrations to prevent disorder. Through various illustrations she demonstrated the interconnection of cosmic constellations and sound patterns. The audience was able to recognize the parallelism of sound figures and cosmic constellations through impressive illustrations. With a school video about the Rubens-Tube she revealed the effect of sound frequencies and sound patterns on our Universe. Dr. Masaru Emoto, honorable Member of the Council of World Elders, awarded with the Peace-Feather-Award of the Council, started his presentation by explaining to the Congress his personal representation for the Japanese waters and so he asked the audience for a common prayer on the healing of the waters of Fukushima. He talked about the current situation in Japan and the radioactive contamination. In the meantime almost all parts of Japan are radioactively contaminated. He also reported on his current research results about the connection of water to our individual and collective consciousness. With his “Emoto Peace Project” he is globally engaged for the conservation of the Earth and for world peace. Love and gratitude, through which the most beautiful water crystals are being created, are of utmost significance nowadays, not only for the strengthening of our immunological system, but also for the healing of the Earth and its waters. For that reason he asked everybody to send love and gratitude while glorifying the Earth in our prayers. Sending such prayers to the waters of the Earth, will enable us to take positive influence on our planet, for water is the source of all life. 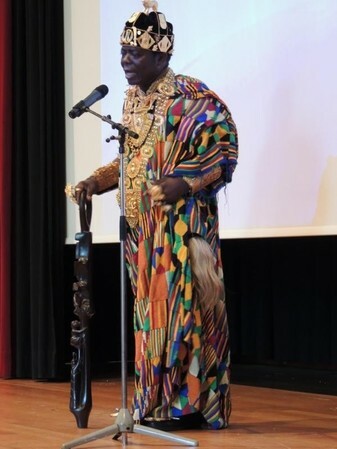 A very impressive lecture was given by His Highness King Togbui Ngoryifia Céphas Kosi Bansah, the King of Hohoe Gbi Traditional Ghana and honorable guest of the second Congress of the Council of World Elders. He lectured on his aid project “Water for Ghana”, while emphasizing on the global importance of water and also for the people of Ghana. Clean water is of much more significance than medicine to bring back health and life to the African people. For that reason he was very grateful to the German people for the donations of money, which enabled his people to improve the supply of water in his mother country by means of water pumps, bridges and wells, etc. He handed over a royal document and distinction to Karin Tag as credit and acknowledgement for the generous donation for the construction of a bridge in Ghana. The presentation of King Bansah was very humorous with much enthusiasm. The audience was very delighted. In his final speech he explained the importance of his role, which he carries in his heart as King of Ghana, to maintain peace in his mother country among all tribal groups and different religions. The King of Bansah excited the audience also through his modest character. He uses his contacts and his professional qualification he gained in Germany to help his mother country through financial and active support. As he lived and worked in Germany before his appointment to the King of Ghana, he learned how to work for and establish a secure existence with his own hands. After his crowning he continued with his professional job and his daily work to give financial support for his nation. The audience was deeply touched by his inner attitude and willingness to make sacrifices for the people of his country. He is a very humorous, fun-loving and gracious King, who remained a really normal and kind person. At the end of the Congress the donations were handed over to the different aid projects of the Members of the Council and guest lecturers. 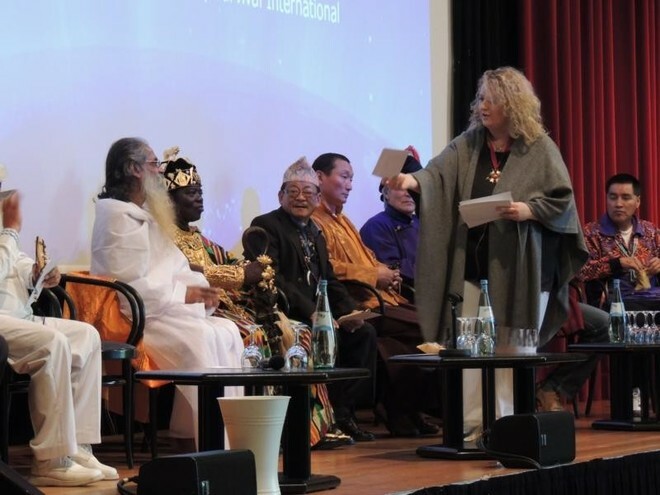 In the following a common prayer for the waters of the Earth and for world peace was offered with the participation of all Members of the Council of World Elders and King Bansah on stage. 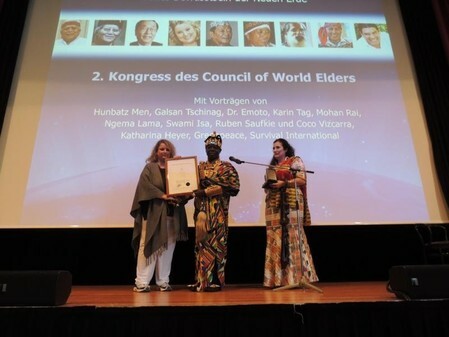 The next Congress, the 3rd Congress of the Council of World Elders, takes place on the 28th and 29th of September 2013 at Bad Homburg near Frankfurt in Germany.